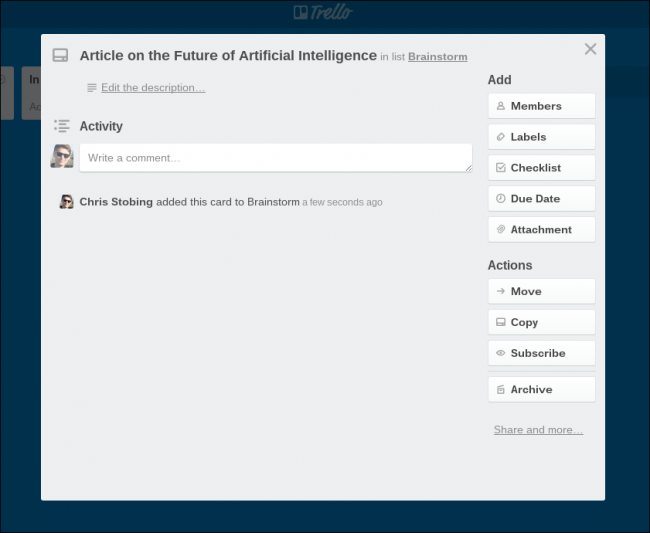 Trello can be a great way to manage projects, communicate with your team, organize ideas, and serve as a sort of “Internet whiteboard” where people can brainstorm together and collaborate in a shared space. After you’ve created a board, you can begin adding the members of the project that will make up the team. To do this click the “Show Menu” tab on the right hand side, seen here. 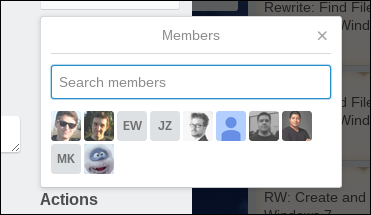 Once you have all the members of your board collected and ready to go, you can begin adding new lists. The titles of these lists can be anything depending on the type of project you’re creating, the workflow of how you want to manage individual assignments, and the way you prefer to manage your content overall. As an example, we’ve listed a few different ideas below. In each list, you’ll find the “Add a Card” option, which you can click here. And it’s in these cards where the real organization starts. 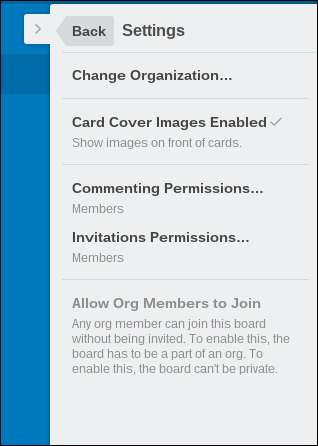 Everything from adding members to “Subscribe to a card” (meaning they’ll receive an alert either on their email or phone when a new action happens), to labeling a card for its subsection happens in the buttons off to the side. You can edit the description of a card (i.e- “Brainstorm only”, a link to pertinent research, YouTube clips, etc), as well as create a “Checklist”, see off to the side here. Checklists are a great way to manage individual cards and make sure that all members of the team are consistently up to date on where a given piece of the project is at any given time. To add a checklist and populate it with new items, simply mouse over to the “Checklist” button, click “Add”, and begin filling out the tasks. Other settings in each card include the option to add a due date, which can be updated or altered by any members who have been given permission on the card. The Activity feed can be found in the right-hand side menu, and as long as a card isn’t marked as “Private”, all the actions of your team can be seen from one simple to follow stream. 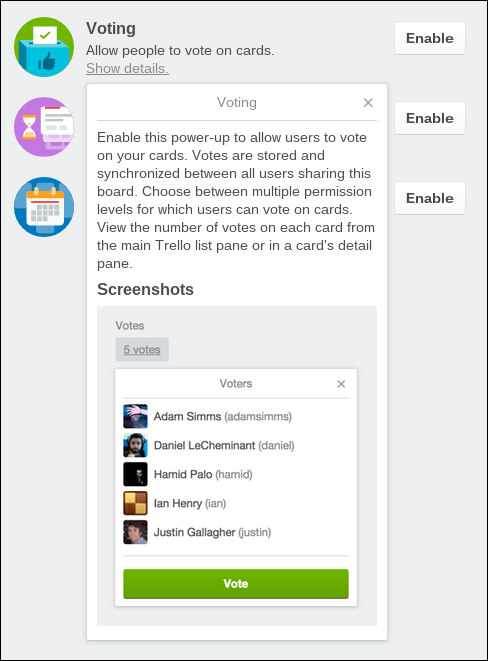 Another great feature of Trello is that all your files and folders can be attached right into the cards themselves. 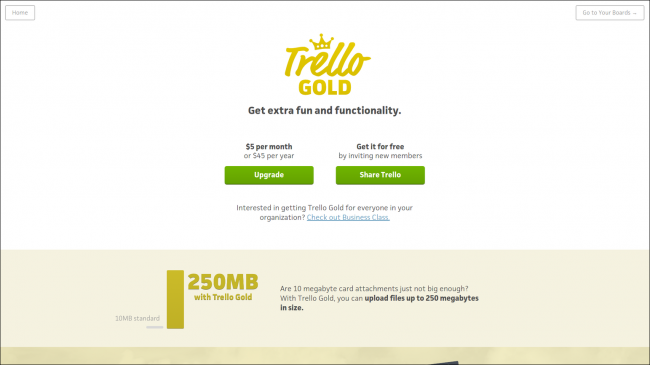 No more digging through an endless array of Dropbox folders with complicated passwords or trying to get someone to organize their Drive permissions properly, with Trello everything you need is right there and ready to download straight off the server. 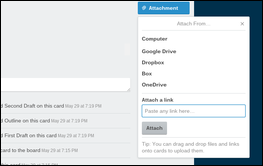 But, in case your team isn’t ready to “drop” their Dropbox just yet, the service automatically integrates with many of the most popular cloud services, and will allow you to attach content straight from your own linked account. Next, this is where labels come in. The Labels are a universal moniker which can easily enable you to separate your sections into subsections, and so on. Say, for example, you have something in your “Assigned” list but you don’t know which department the article belongs to? Labels allow you to quickly color-code specific content, so whoever’s attached to the card can quickly recognize who it belongs to and what the purpose of the assignment is. This visual cue makes for an easy organization system, not much unlike the colored tabs you’ll see on top of folders lined back into a file cabinet. 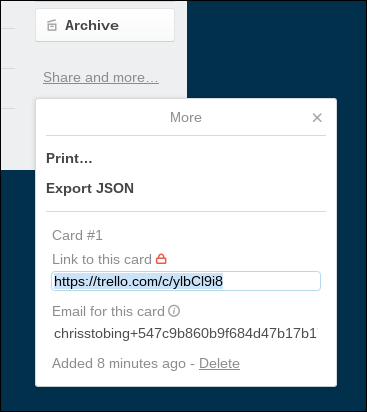 Lastly, you can choose to “Share” a card with anyone via email, or just link it in your workflow space outside of the Trello network. 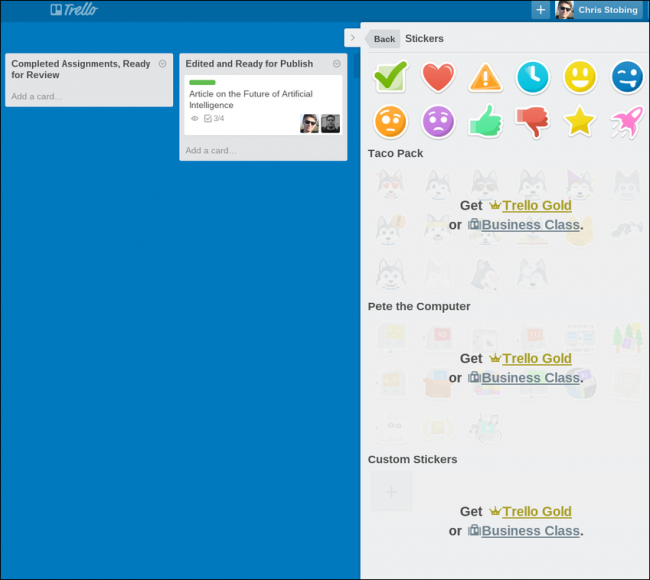 Some of the extra, more fun features of Trello include the option to add friendly stickers to a card or member, a few of which are included with the Basic membership, and a whole extra library which will open if you sign up for the Trello Gold monthly subscription. Business Class will get you the same stickers, but instead of paying the $5 per month as a whole, instead you can choose to give premium memberships to each of your employees at a discount a’la carte price of just $3.75 per person. Additional settings in the Menu bar will enable you to carefully control the permissions for members of your team, including who can read the cards, who can comment on them, and who has the option to archive, delete, or move older assignments that have already served their purpose. 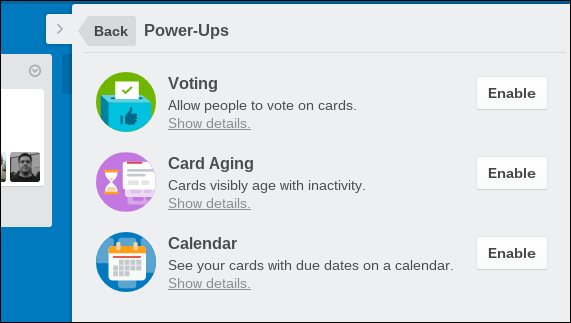 This is where you’ll also find the “Power Ups” menu, including the option to see all the assignments and their owners in a calendar format complete with due dates and matching schedules, as well as the option to allow your team members to “vote” on particular cards. The idea behind the voting system is that if everyone can’t agree on an idea or what assignment to work on next, you can open the floor up to a vote. Whichever option gets the highest number of votes is the next project that gets sent through. If one board isn’t enough, there’s always the option to make more. Segregating your workforce this way can help to clear out too much excessive crosstalk between different departments, and is always a good option if you’re worried about permissions or people seeing private projects in action before they’re ready for the general public. Once a card has served its purpose, you can tuck it neatly away in the Archive with the push of a button. 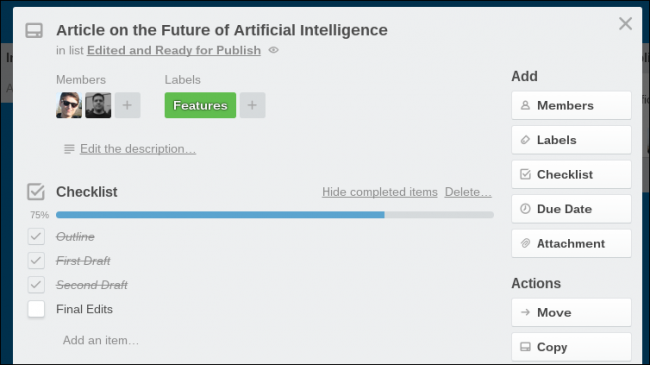 The Archive will hold content for upwards of 30 days before being deleted permanently, so be sure you never send anything into this area of Trello unless you’re absolutely sure you’re done with it for good. 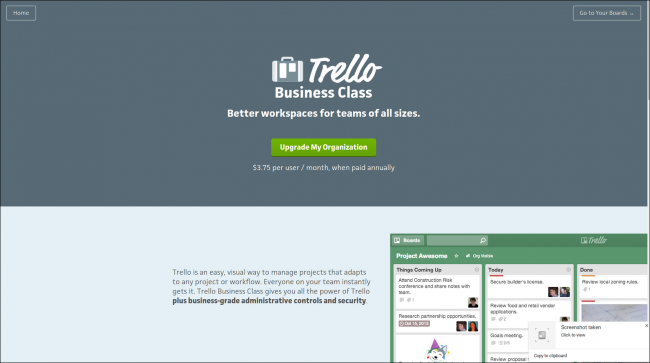 Trello can be a helpful, easily accessible way for you and the members of all your team to stay organized through the hectic chaos of the workday. By utilizing all of its many features and tricks, you can keep your head clear, your projects on track, and the breadth of your assignments published on time, every time.